Stand Up for SINGAPORE: WP MP Pritam Singh: The White Paper needs to focus squarely on Singaporeans as the starting point. 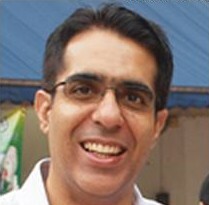 WP MP Pritam Singh: The White Paper needs to focus squarely on Singaporeans as the starting point. This comment on the Manpower Minister's facebook really reflected the sentiment I have felt on the ground, especially among our PMETs. The white paper needs to focus squarely on Singaporeans as the starting point. As it stands, it is more of the same old PAP policies with little to indicate that things will change.
" Good evening Mr Tan. I was disturbed and quite digusted when I heard the news last night that 9 foreign chambers of commerce have written an open letter to you regarding the tightening of foreign workforce negatively affecting Singapore's economy. The Australian chamber of commerce rep gave an example on CNA how an Australian company of less than 10 employees was not able to get permits for 2 consultants. It raises the question as to why can't the company employ locals!? Singapore has one of the highest educated workforce in the region and yet the company has to hire foreigners. Unless the company is involved in some esoteric business that is so niche, I believe this is a prime example of how the foreign talent scheme has gone wrong in this country. There is no checks if companies are abusing the liberal FT policies like S pass and EPs to hire their own nationalities or to employ cheaper PMETs from the region. In the 1990's when companies wanted to hire foreign customer service agents, they had to show proof that they had done due diligence and were not able to hire locally. I hope you will do the right thing and protect the interest of Singapore and Singaporeans."